International Funeral Shipping Services - Repatriation of the dead - Worldwide. Hi Flying provides complete International Funeral Shipping Services worldwide. Hi Flying Repat Professional team offers worldwide transportation and repatriation of the dead by commercial and chartered flights. The services are offered at affordable cost and done efficiently with dignity and respect. 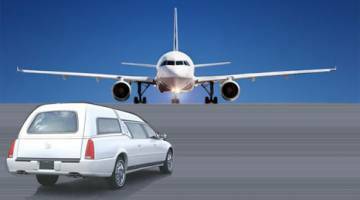 Hi Flying International offers its services in a professional and prompt manner with lot of care, dignity and respect to the family members of the deceased. We are recognised by the majority of Consulates / Embassies abroad and have knowledge of their formalities and paperwork. We have over 750 agents worldwide enabling us to take care of a repatriation anywhere in the World back to home country. 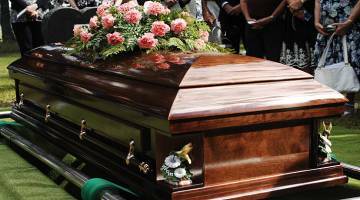 We take care of the removal from the hospital abroad, all the relevant documents and permits that are required, supply of a simple coffin for transportation purposes only, embalming, embassy visit if necessary and transfer to the airport. We care for the relatives and next of kin during their short stay abroad and can arrange for a counsellor to visit them if necessary. Collection and delivery service 24hrs per day, 7 days week 365 days a year.